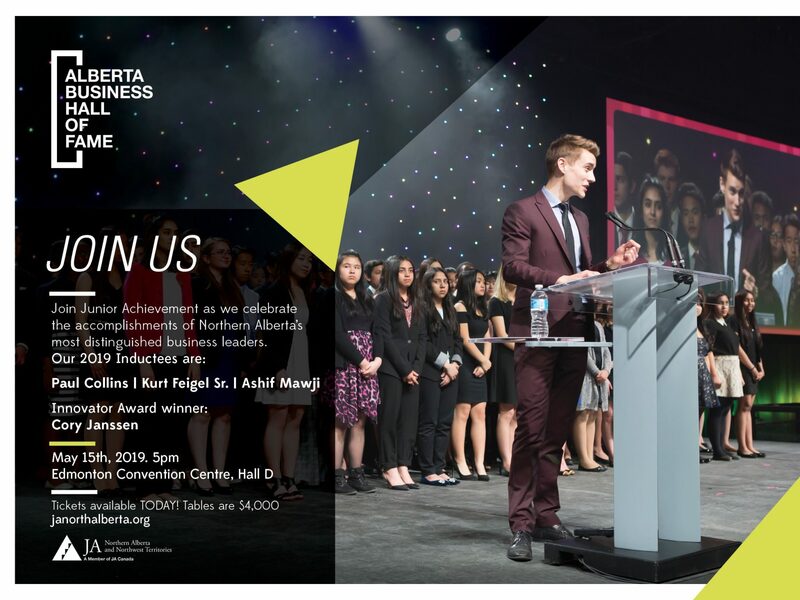 Mark your calendars for May 15 when the annual Junior Achievement Alberta Business Hall of Fame Gala Dinner returns to Edmonton’s downtown event destination! The Dinner is the single most important fundraising event in support of Junior Achievement of Northern Alberta & NWT. Established by JA Northern Alberta & NWT in 1980, the Alberta Business Hall of Fame celebrates the lifetime accomplishments of Alberta’s most distinguished business leaders. Each year, inductees are chosen for their enduring contributions to the economic development and prosperity of Canada. Inductees are recognized for their outstanding achievement and merit of the highest degree, especially in service to the Alberta economy or to the Alberta business community. For more information on ticket sales, please contact Junior Achievement of Northern Alberta and NWT directly at (780) 428-1421 ext. 223. "This was my first time hosting an event at the Edmonton Convention Centre. I was blown away by the incredible partnership and service!"